Our unit plan and instructional approach have been developed over time from our successful after-school programs. The unit plan provides educators with a clear instructional sequence needed to teach participants the core skills required to complete the GearBots Training Challenge. GearBots Educational Resources has developed double sided vinyl mats to complement and assist in the delivery of these lessons. 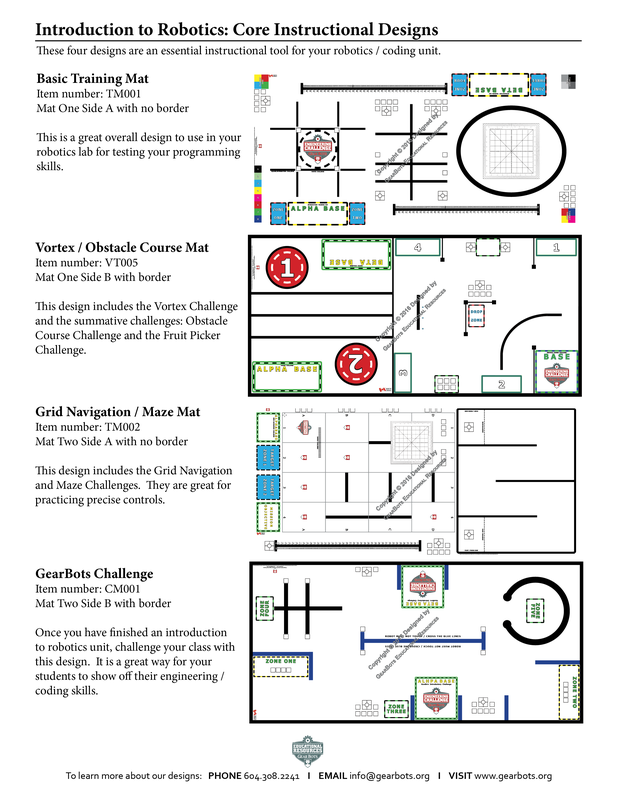 This Unit Plan is designed to be used by our most popular mat designs: TM001 Introductory Training Mat, TM002 Grid Navigation / Maze Mat, VT005 Vortex / Buried Treasure Mat, and the CM001 Introductory Challenge Mat. 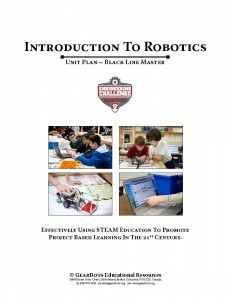 Click the link below download a pdf sample of the unit plan.